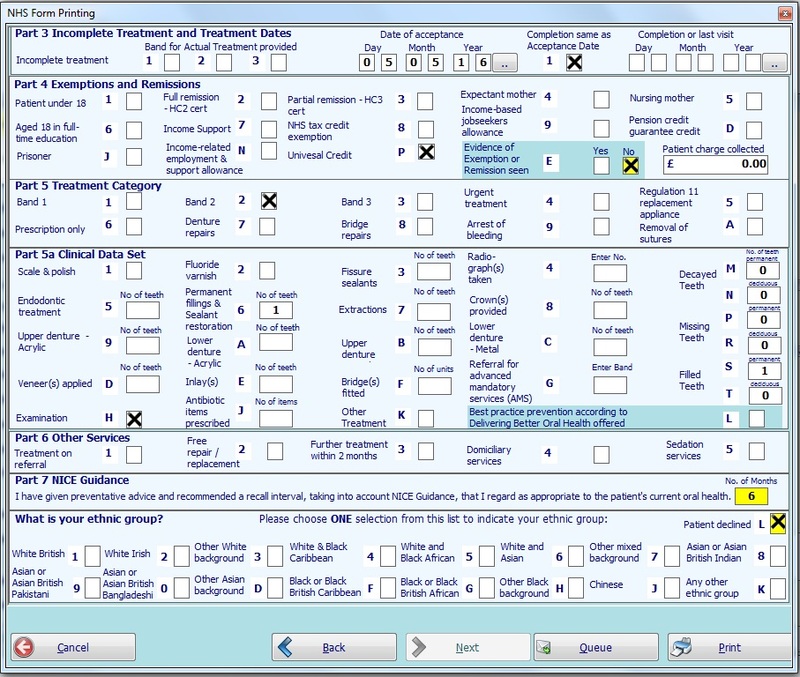 The NHS claim form can be entered for just one patient or a batch of patients. The batch of patients is selected from the NHS batch Treatment Screen. The form will be automatically completed. Yellow Highlights show system recommendations.